In fall 2011, we took in a pregnant stray to foster for a cat rescue. We named her Cinnamon – and were surprised with an all-orange litter. What an opportunity to be creative with their names! 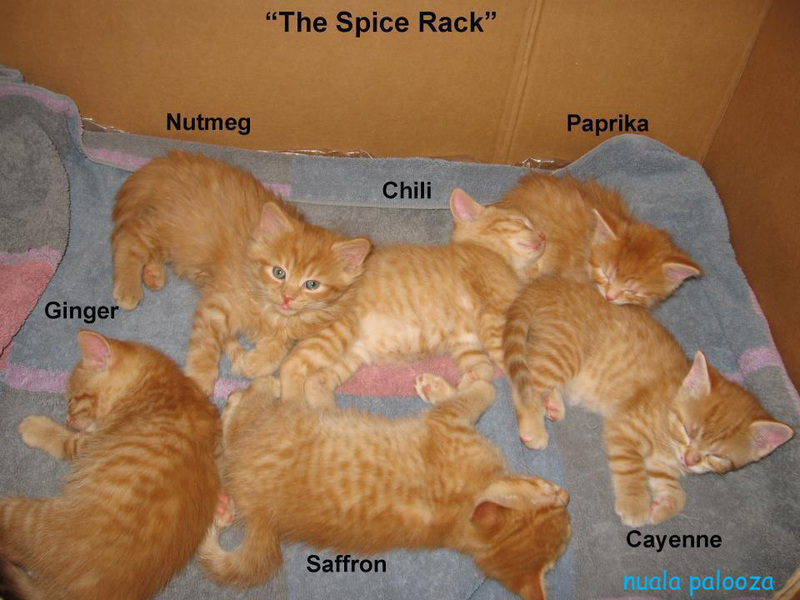 We called our adorable foster kittens the ‘Spice Rack’. Want to see Nuala’s baby photo journal? Saffron IS Nuala. Here’s the playlist if you want to see all the videos of the Spice Rack. Enjoy! !